UK scientists have created a new material that they claim is the blackest ever invented - absorbing 99.96 per cent of light. Scientists from the UK's own Surrey Nanosystems have announced they have invented the darkest material ever made. Of course, the new super black material –dubbed Vantablack – isn't likely to end up in your next smartphone. However, it is with a sense of irony that its intended purpose is to help scientists make electro-optical imaging and target-acquisition systems more accurate. Here comes the science. 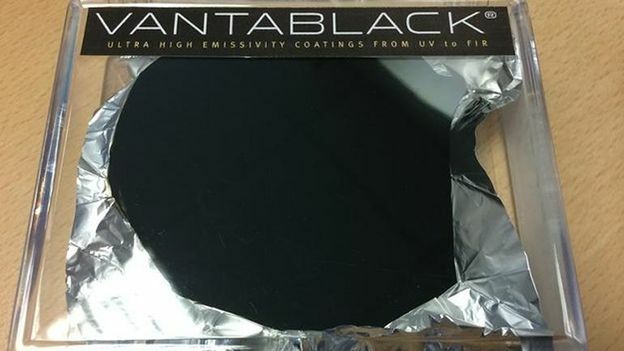 Vantablack is created by growing carbon nanotubes at low-temperatures. According to Surrey Nanosystems, it's taken around two years of development and testing to be able to apply the material onto aluminium structures and pyroelectric sensors. That step means it is now ready to be put into actual imaging systems. “We are now scaling up production to meet the requirements of our first customers in the defense and space sectors, and have already delivered our first orders,” added Ben Jensen, Surrey Nanosystems' chief technology officer.